Year-end awards are only given thru second place. Level 2 classes DO NOT count for Year-end awards. Problems finding your points? Click here to contact points keeper. In 2017, the AzQHA board has approved a new awards program in an attempt to serve the diversity of its membership in the best possible way. The following awards will be awarded in lieu of the All Around saddles, $1000.00 gift certificate will be awarded to the Champion and $500.00 to the Reserve Champion in each division listed below. Classes to be counted: cow horse, cow horse boxing, cutting, roping, reining, ranch riding, and speed events. All points are counted on one horse/rider (owner for open classes) combination. Classes to be counted: showmanship, horsemanship, equitation, western pleasure, western riding, trail, hunter under saddle, jumping, driving, and halter. All points are counted on one horse/rider (owner in open classes) combination. 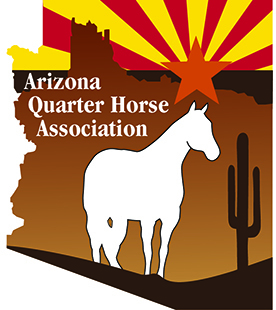 Qualifying– to qualify you must show in at least 4 events listed on the AzQHA web site (www.azqha.org) event calendar by the end of the qualifying period which is December 31. If a class is not offered at a minimum of 4 events the exhibitor must have shown to at least five judges during the calendar year. Awards- The Champion High Point awards will be given a $1000.00 gift certificate and the Reserve High Point will receive a $500.00 gift certificate. Class awards for Open, Amateur, Select, Youth, Novice Youth, and Novice Amateur will now be given for Champion and Reserve only. Ties in year end points will be broken there will only be one Champion in the year end class. Number of shows attended other than Sun Circuit and Az Fall Championship. 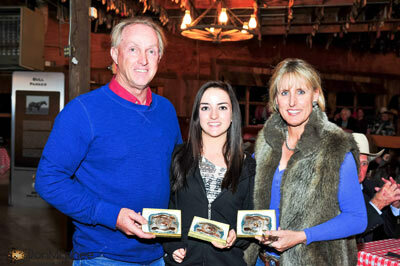 Highest number of AQHA points earned by horse/rider combo at qualified shows. The exhibitors(s) that lose the Reserve tie breaker will not be awarded any awards. Only one Reserve award will be given. AQHA classes are done manually but all points will be placed on the AzQHA website. If you find an error in your points please contact Connie Hay in the AzQHA office, she can answer any questions you might have on points. We track each AzQHA exhibitor by your AQHA member number, so every exhibitor must make sure that we have ALL your correct AQHA numbers. If you are a youth member and a family member owns the horse you exhibit, we must have the family member’s AQHA number on your membership file also. New for this year are All Breed year end awards from the No Bling shows and great awards for the all arounds in the Versatility Ranch Horse shows.